It's important to us not just to be the best lawyers that we can be, but also to help our community be the best that it can be. We support local programs and have also created some of our own programs as part of our commitment to the community. Below are some of our favorite programs that we are involved in to help our community be stronger. Tempe Bike to Work day was a great opportunity to meet many members of the bicycle community. We set up at Daley Park in Tempe and were able to talk to commuters as they rode by. They enjoyed our snacks, drinks, and giveaway items and many were happy to see us there again. We had a great time at Tour de Cure 2019 on Saturday, March 16th. Tour de Cure is an annual event put on by the American Diabetes Association to raise awareness for the disease and money for a potential cure. We had a great time interacting with the community and we are looking forward to next year’s event already! On Thursday, March 7, 2019, The Husband and Wife Law Team hosted their annual VIP Dinner at Buffalo Wild Wings. Friends, former clients, and team members met at Westgate where they were seated on the outdoor patio and got to enjoy some delicious wings, wraps, fries, and more! All guests were welcomed with a gift bag that read “We’re not just winging’ it, we’re thankful for you” that contained a domino set. Mark and Alexis also got the opportunity to present a check to the Green Knights Motorcycle for Dakota’s Run, which is an event where all proceeds go to the Leukemia and Lymphoma Society. The Breyers always look forward to hosting VIP dinners as a way to thank those who have supported them and can’t wait to see everyone back out for the annual VIP dinner next year! We recently had our annual Casino Night on Saturday, January 26, 2019. It was a great turnout with Vegas-style games such as craps, blackjack and roulette, great food from Macayo's, a photobooth and even a wine tasting! Thank you to everyone who attended. We are already looking forward to next year's Casino Night! On Thursday, October 25, 2018 The Husband and Wife Law Team hosted a VIP Dinner at Grimaldi's in Old Town Scottsdale. Friends, former clients and team members traveled from near and far for the event. Alexis and Mark Breyer always look forward to this annual VIP dinner as another way for them to say "thank you." There's nothing better than sharing pizza with friends! On Saturday, May 12th, The Husband and Wife Law Team hosted their annual Casino Night at the Ahwatukee Event Center. All of the guests played black jack, craps, and roulette to win chips for the big raffle while enjoying appetizers and drinks. Mark and Alexis gave away amazing prizes to the happy winners. When guests weren’t playing casino games, they enjoyed the beautiful patio weather and all of the fun props at the photo booth. Mark and Alexis always look forward to hosting their annual Casino Night as another way to say thank you to all of the clients, friends and community members who have supported them throughout the years. On Saturday, April 28th, The Husband and Wife Law Team had a booth at the JDRF One Walk supporting research and funding for Type One Diabetes. The event had teams of walkers, many of whom were supporting a friend or family member, with creative team shirts to support the cause. There were dozens of vendors, a food tent, a stage with performers, and a countdown beach ball drop to the start of the event. Even the Phoenix Suns Gorilla, Baxter from the Diamondbacks and Howler from the Coyotes were there to cheer on everyone who was walking to support JDRF. It was a great morning and it was wonderful to hear how the event has impacted those living with Type One Diabetes. Mark and Alexis Breyer were delighted to host their annual Spring Carnival on Sunday, April 8, 2018. Outside their Ahwatukee office, guests enjoyed an afternoon of carnival games, food, music, face painting, a photo booth, and a dunk tank, which Mark Breyer put to good use (he was a hit)! Several food trucks showed up, offering snow cones, mustache pretzels, fry bread, and more. Guests took home prizes, courtesy of The Husband and Wife Law Team. Our friends, family, clients, and community are already looking forward to the next carnival, and we're looking forward to hosting it next year! On March 29, 2018, Mark and Alexis Breyer hosted their annual VIP Appreciation Dinner for former clients at Buffalo Wild Wings in Glendale. Seated on the outdoor patio in perfect Arizona weather, the guests enjoyed a large buffet with chicken wings, chicken wraps, fries, salad, and more, while their children enjoyed scribbling in free coloring books provided by the firm. In the highlight of the evening, the Breyers presented a check to the Phoenix Wounded Vets Run for Josh Bullis, a wounded veteran. Each guest received a beautifully wrapped aluminum water bottle as an additional “thank you” from The Husband and Wife Law Team, and everyone is looking forward to the next client appreciation event! On Sunday, December 20, 2017, the Husband and Wife Law Team sponsored their annual movie event as a way to give back to the community. Mark and Alexis Breyer are always so thankful for the support that the community shows and loves to take every opportunity possible to show their appreciation. This year they showed Despicable Me 3, provided everyone with free games before the show, drinks, popcorn, and swag. And to top it off Mark even started off the event by freestyle rapping! Everyone had a great time and we are already looking forward to our next movie event! Coming from a family of teachers, Mark Breyer saw first hand how much a teacher puts into their classroom to provide the best education for their students, spending upwards of $400 out of their own pocket every year. Mark and Alexis started the Husband and Wife Law Team Teacher Appreciation Program to recognize teachers who go above and beyond. Alexis and Mark award one lucky teacher $250 every month for classroom supplies. Each month a teacher is chosen based on voting and subjective measures. The teacher is surprised each month not just with a $250.00 gift certificate but also with a classroom pizza party. Below is a video of one teacher being surprised. What a great feeling it was to surprise this teacher and all the other teachers who have been chosen as teacher of the month. To nominate a teacher, go to https://www.breyerlaw.com/lawyers-for-teachers.html. Maybe your favorite teacher will win! "We were honored to be able to recognize the wonderful staff at Healthsouth Valley of the Sun for winning #1 in Patient Satisfaction for Nursing! Congratulations on such an amazing accomplishment!" "Before you sign anything, talk to a lawyer." Mark and Alexis Breyer of the Breyer Law Offices, P.C. provide tips to Arizona residents on what you need to know about what to do after an accident. We attended the Arrowhead Harley Davidson Veterans Appreciation Party on November 14th. Steve Sheperd of Surprise AZ won our raffle for our Motorcycle giveaway! Congrats Steve! There is nothing better than good food, free drinks, and fun conversation with fellow bikers and their families! The Husband and Wife Law Team was invited to the Arizona Biker Leathers 12th Annual Customer Appreciation event. 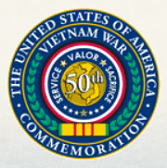 Mark and Alexis Breyer attended the Vietnam 50th Anniversary Commemorative Celebration on Saturday, March 21, 2015. The all-day event was full of activities, military displays, veteran benefit informational booths, food & merchandise, and entertainment. 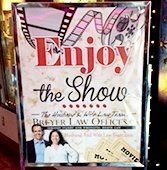 The Husband and Wife Law Team host an annual movie event for past clients and their families. Not only is it a way for Mark and Alexis to show their gratitude, but also an opportunity for the community to get together for a fun filled evening, complete with popcorn, drinks, and more. To see photos from their most recent movie event, click here. The Husband and Wife Law Team helped celebrate the 5th Annual Skin & Steel AZ, presented by The American Legion Rides, Post 2 in Tempe. To see photos from the Skin & Steel event, click here. Motorcycle riding has become more popular as a mode of transportation and recreational activity. As an experienced motorcycle accident attorney, Mark Breyer, of the Breyer Law Offices, P.C., understands the risks facing motorcycle riders and is committed to promoting motorcycle safety and awareness as a Board Member of the Arizona Motorcycle Safety & Awareness Foundation (AMSAF). The AMSAF’s mission is to help create a friendly and safe motorcycle riding environment for the almost 200,000 motorcycle riders in Arizona. The foundation aims to achieve this by promoting safety and awareness is achieved through promoting various public safety announcements and promoting media campaigns, creating legislation directly impacting motorcycle safety and awareness, developing motorcycle training, education and awareness programs, and by supporting rider-training assistance programs. For more information about AMSAF, visit http://www.amsaf.org. After helping hundreds of injured motorcyclists after an accident tragically altered their lives, Mark and Alexis Breyer wanted to do something to prevent those accidents from happening in the first place. Mark Breyer is now a part of the board of the Arizona Motorcycle Safety and Awareness Foundation, working to make riding safer for all on the roads. Mark frequently speaks at motorcycle clubs and other motorcycle events. Mark and Alexis have also written, "The Arizona Motorcycle Book" which is a free guide to motorcycle riders for riders to know their legal rights. Many riders are not familiar with the laws, especially the helmet law and how it can be used against them. Mark hopes that his speaking engagements and The Arizona Motorcycle Book is getting the word out to riders so that they know what to do when they are in an accident. The Arizona Motorcycle Book is given out free to all riders in Arizona. You can request your free copy at www.ArizonaMotorcycleBook.com. Mark also helps to support events for motorcycle organizations and clubs that help promote motorcycle safety. Mark and Alexis Breyer have sponsored scholarships for students. Breyer Law Offices, P.C. 's Viral Video Scholarship Contest was awarded in 2011 and 2012 to talented students who created a public service announcement encouraging safe driving practices. The videos were open to public voting and the winner was awarded a scholarship to their school. This type of scholarship helps to promote to young drivers the importance of safe driving. The winning public service announcement for 2012 was aired on TV to share the public announcement with all of Arizona viewers. Mark and Alexis Breyer try to be as involved in their community as possible. They support local schools, booster clubs, and sport clubs. Alexis and Mark helped with donations to the YMCA, religious organizations, motorcycle clubs, organizations fighting for the injured, wrongful death victims, girl scouts, Jump For The Cure, MADD, low rider organizations, paper for teachers, and more. Alexis and Mark each year hold a March Madness Pool to create community involvement. This year's pool winner received $1,000. The tournament is free to join and occurs every March during March Madness. This is a way to bring sports into the lives of children as well. Between Mark and Alexis, there is over 30 years of experience dealing with injury law. As a public service to injured Arizonans, they have written several legal guides using their combined knowledge, detailing what everyone needs to know about Arizona law. These books are offered for free to help people understand how their legal rights. The most popular book described above is The Arizona Motorcycle Book along with The Arizona Injury Book also known as "The 13 Biggest Mistakes That Can Destroy Your Arizona Injury Claim." This book guides those who have been injured to understand their legal rights. Alexis and Mark offer this book free. Mark and Alexis have sponsored community appreciation dinners wherein members of the community have been invited to a free dinner. This is an opportunity to meet members of the community who have reached out for our help and for Alexis and Mark to give back and to show their appreciation. Recent dinners took place at Hong Kong Gourmet Buffet, Red Devil Italian Restaurant and Pizza, Joe's Real BBQ, and more restaurants through out the Valley. From the time our firm was started, The Husband and Wife Law Team has spent significant amounts of resources giving back to this amazing community. And we are always interested in new opportunities and ideas. While we know we cannot help every organization we would like to help, if you have ideas or suggestions that you would like us to consider please submit your information below.